Time to get your paint on! 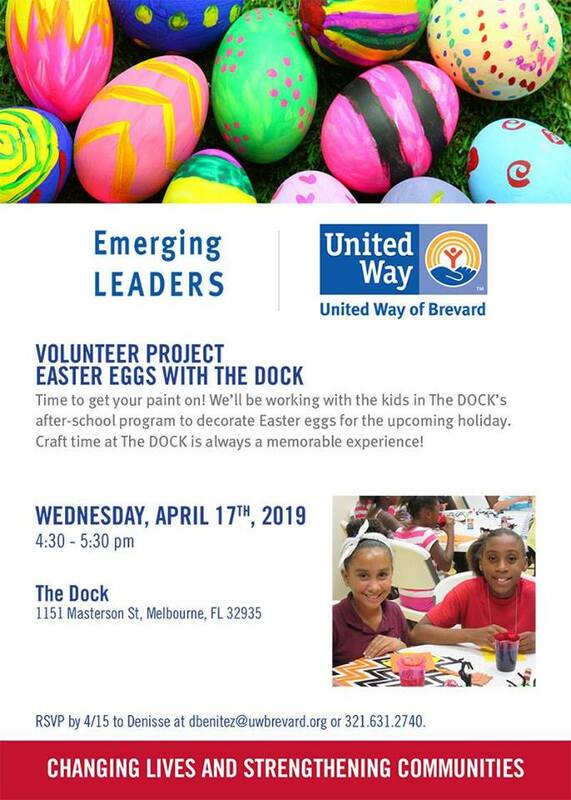 We’ll be working with the kids in The DOCK’s after-school program to decorate Easter eggs for the upcoming holiday. Craft time at The DOCK is always a memorable experience! RSVP by 4/15 to Denisse at dbenitez@uwbrevard.org or 321.631.2740.